With the dawn of the Golden community’s web portal, www.golden.ca, there was pressure to prominently include the non profit sector on the landing page. With a large graphic linking to a listing of the non profit sector and community calendar, this portal encourages both those new to the area and long-time residents to start here in their search for specific information. However, many non profit organizations do not have an online presence and can`t take advantage of this resource. Managed by the Kicking Horse Country Chamber of Commerce, the Kicking Horse Country Community Calendar was offered through Bhubble.com and was created by Juicy Studios out of Rossland, BC. Originally, Kicking Horse Mountain Resort purchased an annual corporate membership that provides 30 individual licenses for 30 local organizations to maintain their own online calendar and upload the events to the single community calendar. 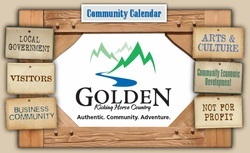 The Golden & District Community Foundation (GDCF) and Golden Community Resources Society had leveraged the Bhubble.com calendar on their own site for all types of meetings – both internal and public – and enjoys the benefits of simultaneously posting events on to the KHCCC community –wide site without incurring any advertising costs. 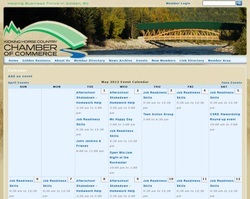 In summer 2013, the Chamber of Commerce switched to CalendarWiz.com. As the Administrator, the KHCCC has actively updated their events on the calendar, and enabled both businesses and non profits to upload their events to the community-wide version. Further, KHCCC lists the upcoming week’s events in their Friday Notes e-newsletter. There are a lot of non profit and business organizations that use the Town of Golden's facilities. The Recreation Partnership Program was set up to ensure the relationship between user groups are in good financial standing with the Town, insured and accessible, thereby providing increased confidence for participants. Over time, these relationships can be built and more mutually beneficial efficiencies can be developed. While this online group is not recognized officially, unofficially it has become the go-to source for local information and events over the last year. Many non profits use this forum to advertise their event or program to the connected users and their connected friends. A sister group was created from this group for specific discussion on the 2011 municipal elections, which had a similar number of members. While this group does seem to have quite a few members, Golden Free Classified boasts 2,696 and is administered by Gord Pawley, Chris Coolman, Adam Macer and Chris Wardman. Currently, there is a debate about whether or not it makes sense to break the group down into smaller, more specialized groups. Regardless of that decision, this group is a great at promoting local events and ‘recycling’ previously owned goods in the community. 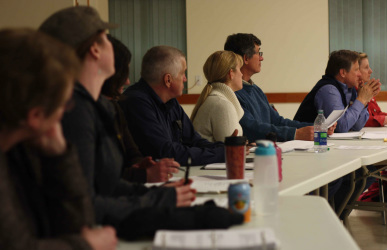 Since there are 2,696 people interested in buying or selling items in Golden, but only 390 interested in discussing or reading about community issues, one can see that raising the profile and importance of the local non profit community has a long ways to go. Recently, access to free or low-cost online templates have brought the required costs in website development down considerably. Instead of paying a designer $60/hour, properly trained non profit staff and volunteers can develop and update their organization's website quite easily. But please don't confuse with a web presence and communication because organizations can have one without the other. Today, when competing for the attention of your customers, supporters and partners, it is more critical than ever to have a well-thought out identity and story to tell. In addition to websites, blogs and wikis can help share your story when done properly (or turn others away, when not). Much thought should be put into your communication medium and identity. To learn more: contact a local design and branding company. Community Information & Volunteer Centre Kelowna Community Resources: operated through Kelowna Community Services (KCS), they manage the Community Information & Volunteer Centre and is supported by KCS and United Way. The core is the Community Information Online Consortium (CIOC), which costs them ~$6,000/year. Recently they have been approached by a few other communities (including Kamloops) for help in setting up or choosing a database, so they may open up to others to help reduce costs. They request contact information updates twice a year (January and July). Having a publicly accessible database is a key prerequisite to developing non profits in communities. One needs to put a focus on the databases inclusion policy. By using specific fields, you can easily pull info into specific, standard publications (Rec Services, Support Services, etc.). The database could include businesses, helping to consolidate the Chamber of Commerce, Golden Area Initiatives and Tourism Golden and Town of Golden business license databases, and creating a “member only niches” and creating a resource. While one ‘key holder’ would be best, a strong memorandum would be necessary to ensure that other database administrators would follow data input conventions. The database provides potential coalition around themes that crosses sectors. It is also focused on providing searchable info on local volunteer opportunities. Businesses can use it to communicate their corporate social responsibility (CSR) by providing details of the employee volunteer, support or granting programs on it. KCR does not feed into 211 Service yet. Community Information Online Consortium (CIOC): is a member-based non-profit consortium formed in 1999 to create, improve and support its online software so that its members can efficiently serve the public and fulfill their own mandates. CIOC is all about building community online - people helping people by sharing information, experience and resources. Our award-winning software was developed by and for the non-profit sector and is actively being used across Canada to help thousands of citizens every day. 211 Info Phone Service: began in 1953 under the name Community Information Service. It has been instrumental in advancing information and referral standards in BC (through the BC Alliance of Information and Referral Systems), in Canada (through Inform Canada), and in North America (through the Alliance of Information and Referral Systems). Short videos and news stories can capture the essence of a community, conveying a vibrant message to both residents and visitors alike. Community television programming and broadcasting can help to tell local stories, albeit often at a higher cost than print or online media. However, more municipalities have begun streaming their Council meetings, when they previously had them broadcast on a local cable station or not recorded at all. 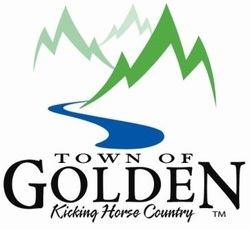 With the limited seating at the Town of Golden Council Chambers and the shear distance to Salmon Arm where the Regional District Meetings take place, online streaming of official meetings would likely raise the level of community engagement in Golden & Area A.
Stakeholders that would be involved in community televisions initiatives could include CRTC; Shaw, Persona/East Link; and RTown Television (with franchises in Whistler, Tofino, Ucluelet, Vernon, Kelowna, Panorama, Banff and Mont Tremblant). Some municipalities and destination marketing organizations have focused on developing more, short video clips online to promote communication with local and distant markets and community economic development.